The dichotomy of Pakistan cricket is a unique one. Mercuriality is deeply integrated into its roots. From winning the World Cup in 1992 out of nowhere to losing to Australia in the most embarrassing way possible at Lord's in 1999, Pakistani cricketers have been able to induce a wide spectrum of emotions in its most die-hard fans. No form of science can reliably establish any meaningful patterns or expected behaviours when analysing the men in green. No form of the dark arts can be reliably used to quite grasp the volatile nature of this team's erratic performances. From astrologers to fortune tellers, the only conclusion they can arrive to is to question their own abilities. 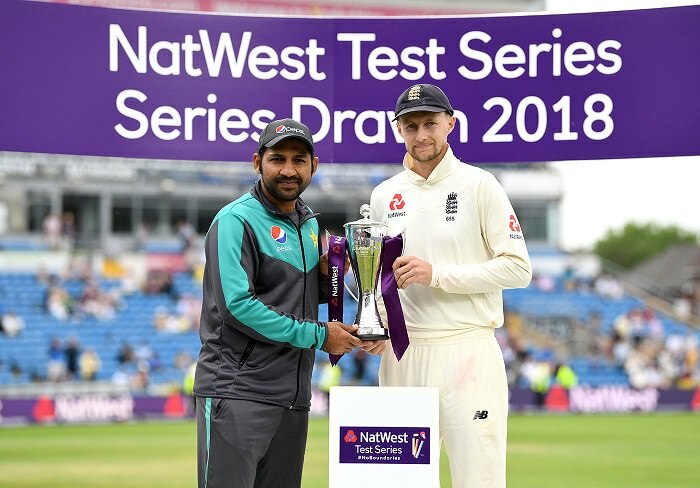 Lord's and Headingley showcased the astronomical highs and sinking lows Sarfaraz and his troops are capable of performing at. For every blow Pakistan dealt to England in London, they received an equal and opposite uppercut in Leeds. Each moment of brilliance at the Home of Cricket was neutralised by displays of mediocrity only Pakistan could manage to pull off. The slate was wiped totally clean. Day 1 at Lord's set in motion the eventual outcome of the match. Pakistan came into the match almost as if they had predetermined the result. They came, they saw, and they bossed the opposition from ball one. The bowlers bowled at immaculate lines and meticulous lengths. The pace trio of Amir, Hasan and Abbas sent the Englishmen back to the dugout on the very first day of the Test. If there was any theme prevalent during the course of this match, then it must be that of proving naysayers wrong. A lot of buzz had been going around regarding Pakistan's bowling department not being up to the mark in Tests, but this wasn't a Test match where the Pakistanis were in the mood to be bound by any of the tags that had been put on them by the press. The three pacers shared nine wickets between them, with Hasan and Abbas claiming four wickets each. Abbas's commotion set in motion the #Abbasif comparisons, and rightly so. Never has a Pakistani bowler so closely resembled Mohammed Asif since his exile from the sport in 2010. Amir, for maybe the first time since his return to Tests, took wickets in bulk. Maybe he really did need another Asif to get back to his best. In walk the Pakistani batsmen, chests held high and leaving a trail of an aura that exudes authority. There was much talk about the fall of Azhar Ali, and how he, along with Sarfaraz Ahmed and Asad Shafiq, need to come good now that Misbah-ul-Haq and Younis Khan have passed on the baton to them. These three men are the caretakers of this young and budding side; men who have had the privilege to observe and learn from some of the greatest Test cricketers to play for their nation. Cometh the hour, cometh the men. Azhar and Asad both play with such ebullience that it was clear they both were leaders of men; that they stood up when it mattered and both scored fifties to setup a great platform for their team. Were their innings career defining in their nature? No, but they should be enough to remind their naysayers that these two are pivotal to this team's chances of success in Tests in the long-term. Pakistan are four down, but never fear, Babar is here. In comes the most talked about young batsman in world cricket. Babar is perhaps the product of something that happens once in a blue moon; PCB identifying talented players from a young age and putting them through a systematic process of refinement and nurturement. Babar has played cricket at every level you could think of - Under 13s, Under 15s, Under 19s, the whole lot. No one can claim that he was rushed into the team, as he had been on the cricketing scene for as long as most of us can remember, and for good reason. He's amongst the top run scorers in limited-overs cricket in the past two years, with a monstrous average of over 50 in both ODIs and T20Is. Nevertheless, he wasn't regarded highly by many due to his constant failings on the Test scene. Many called into question his spot in the Test side, whilst not keeping in mind the finesse he has showcased across the other formats. One would hope that this would change after his innings at Lord's, as only sheer physical pain after getting pinned on the arm by a bouncer could end his elegant knock of 68. It was cover drives galore, and it served as a sign of things to come from this man in this format of the game. He was a man on a mission, and suffice to say, he had delivered. In come Shadab and Faheem, two young men touted to rid of our woes in the all-rounder department. Both have an undeniable swagger in the way they carry themselves on the field. In Faheem, we have a genuine pace all-rounder who is more than capable of delivering as our fourth pacer. He's not too shabby with the bat either, scoring a very handy 37 with his partner in crime Shadab Khan on the other end. And what do we make of Shadab Khan? Bowling all-rounder? Batting all-rounder? Specialist fielder? A bit of everything? Pakistan's future captain for all 3 formats? His gutsy fifty in the first Test match ensured that Pakistan piled on the runs against England and effectively batted England out of the game. He took crucial scalps with the ball as well, and along with being a dynamite in the field, will cement his place in the Test side for the foreseeable future. This leaves us with Sarfaraz. The men at the helm, the born leader of men. From winning the Under-19 World Cup to leading his team to a Champions Trophy win, the man is able to inspire his followers to do great things, which begs an important question - why can't he muster up the self-motivation so that he doesn't stand out on the scorecards for the wrong reasons? The man once dubbed as "oxygen for the team" by Pakistan's most successful Test captain in history seems to have run out of breath, at least whilst batting. Behind the stumps though is a different story. He seems to have stepped his keeping up by several notches, with several displays of athleticism through his newly-found ability to take low catches. Come Headingley, where did all this might and magic disappear to? Azhar and Asad looked more like followers of the slip cordon rather than leader of men. None of the authority they stamped in the first match was present in their batting display on Day 1. Babar had already been ruled out of the remainder of the tour, but could he really have made a difference even if he was there? Perhaps the only constants were the batting performances of Shadab and Sarfaraz. Shadab, being as charismatic as ever, hung in there for a gutsy 50 whilst Sarfaraz, being as mediocre as he has been lately, was a mere visitor to the crease. The new kid on the block, Usman Salahuddin, was the only batsman from Pakistan to play at least 100 balls in either innings, which goes to show the amateurish performance the visitors put up with the bat. Slumping to an innings defeat in Headingley wasn't something even the most critical Pakistani fans would've predicted after the events that took place in the Lord's Test. Alas, Pakistan managed to find a way to leave a sour taste in the mouth at the end of what was largely a successful tour. Winning and losing is part and parcel of competitive sport. Besides, you haven't really lived until you've died a little.